A NEW POLICE team has been assembled in Mauritius to launch a fresh investigation into the death of Irish schoolteacher Michaela McAreavey last year. 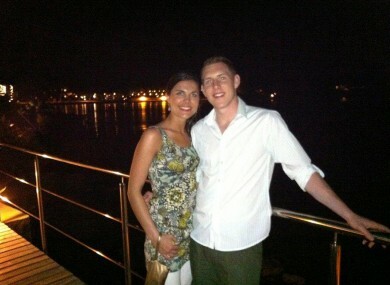 The 27-year-old newly-wed was killed in her hotel room while on honeymoon on the Indian Ocean island on 10 January 2011. Earlier this month, two former workers from the Legends hotel were acquitted of all charges related to her murder. According to BBC News reporter in Mauritius, Yasine Mohabuth, the new inquiry will be led by Superintendent Yaswant Callee of the Central Criminal Investigation Division. He will be assisted by two other senior officers. The Mauritian police force were strongly criticised in the wake of the trial, after which Sandip Moneea and Avinash Treebhoowoon were found not guilty by the nine-member jury. Throughout the case, it often seemed that the police forces in Port Louis were as much on trial as the accused. As the spotlight was again and again pointed on the investigation, apparent holes, inaccuracies and inconsistencies were highlighted in court. It became clear during the eight weeks of proceedings that numerous people who were in the vicinity of room 1025 around the time of Michaela’s death were not questioned by police. Interviewing these witnesses will be one of the first tasks of the new team. All DNA samples from the crime scene will also be examined as there was a lack of physical evidence supplied during the trial. U.TV reports that the lawyer for the McAreavey family said that the Mauritian Prime Minister Navinchandra Ramgoolam reiterated that police from Ireland and Northern Ireland would be “most welcome” on the island. However, he added that the inquiry will have no problem with money or man power. Ramgoolam has also said that experts will be brought in to examine every aspect of the case. The promises come after meetings with the Irish ambassador to the country Brendan McMahon and a decision to allow Northern Ireland’s attorney general John Larkin to examine papers from the trial. Email “Michaela McAreavey: fresh investigation gets underway”. Feedback on “Michaela McAreavey: fresh investigation gets underway”.